I’m ending a busy week at work with a one-day business trip from Albany to New York City today. It’ll be a long day with a five-hour round-trip by train, so when I get home, I’m looking forward to cracking open a can of Hootie – a cool, refreshing New England-style IPA by Brooklyn’s Sixpoint Brewery I’ve got waiting in the fridge. I don’t know why Sixpoint named this beer Hootie, nor do I know why they put an owl on the can, but I don’t expect any of that will matter at the end of my long day. I’ll be the first to admit we’re guilty of all sorts of over-analysis here at Booze and Birds, but sometimes booze with a bird on it is just booze with a bird on it – and should be enjoyed as such. Now that I think of it, Hootie reminds me a bit of Bubo, the mechanical owl from the 1981 film Clash of the Titans – one of the favorite fictional birds of my childhood. Maybe it’s those eyes? 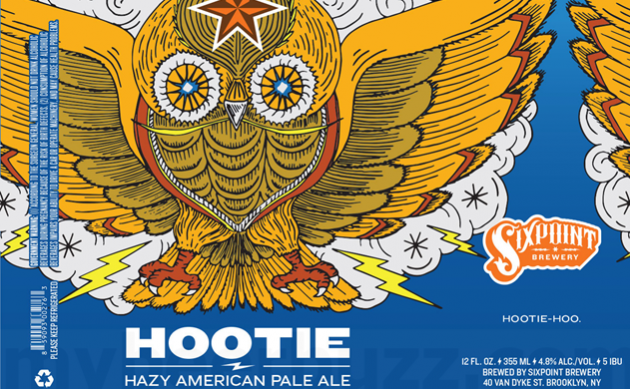 Hootie isn’t the first New England-style IPA we’ve seen at Booze and Birds. It certainly isn’t the first “owl sp.” we’ve identified here, either. Come to think of it, I don’t even think it’s our first “owl sp.” New England-style IPA. So, since we’ve done all this before, let’s just get on with the review, shall we? Did I mention it was a rough week at work? Hootie is actually an excellent New England-style IPA, despite the short shrift I’m giving it in this week’s review. It’s a hazy, golden beer with a dense, foamy head that throws out an intoxicatingly tropical blend of pineapple, passionfruit, papapa, melon, and tangerine aromas. There’s a lot going on here and the complexity continues in the palate, pitting rich marmalade flavors against a subtly malty backdrop, followed by a spritzy lime and mango finish. 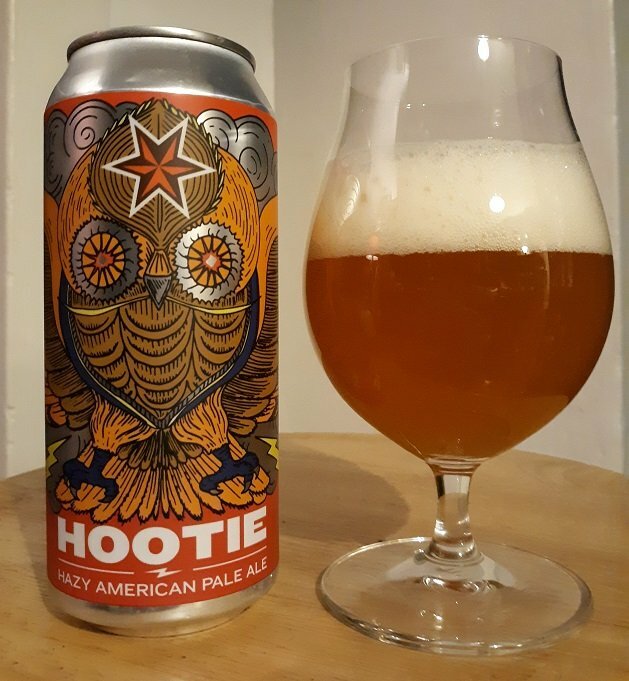 Hootie’s mouthfeel might be a bit thinner than the soft and fluffy milkshake character exhibited by the very best IPAs from Vermont, but this Brooklyn take on the trendy New England style is wonderful nonetheless. And coming from a former Queens brewer and birder, that’s saying something. Four out of five stars (Excellent).